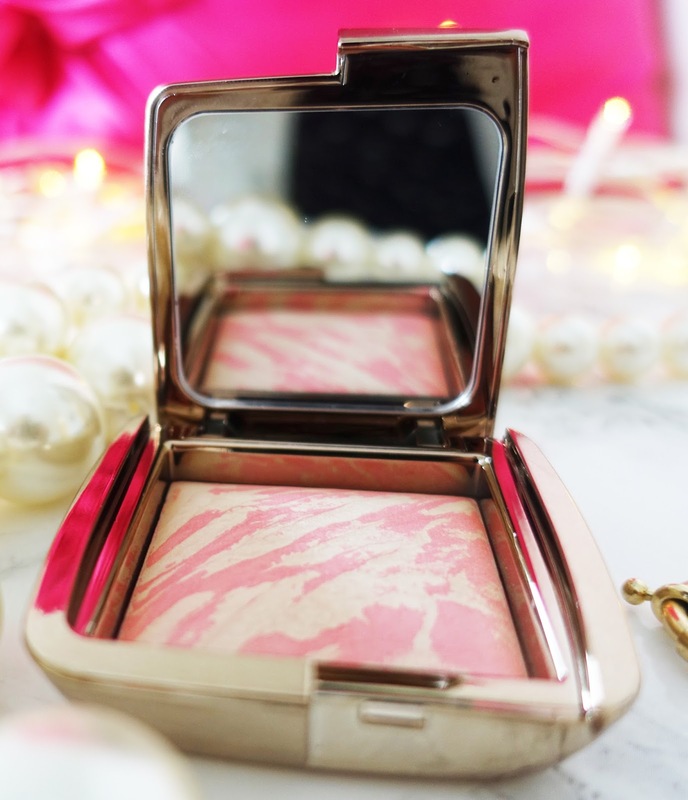 Hourglass Ambient Lighting blush | Is This Mutton? My first experience with this blush was a couple of years ago when I bought a palette of three. I found I was mainly using one shade, as you tend to do with palettes, so now that my favourite shade is virtually all gone, I've just bought it in a single compact (£39 from Space NK or John Lewis). 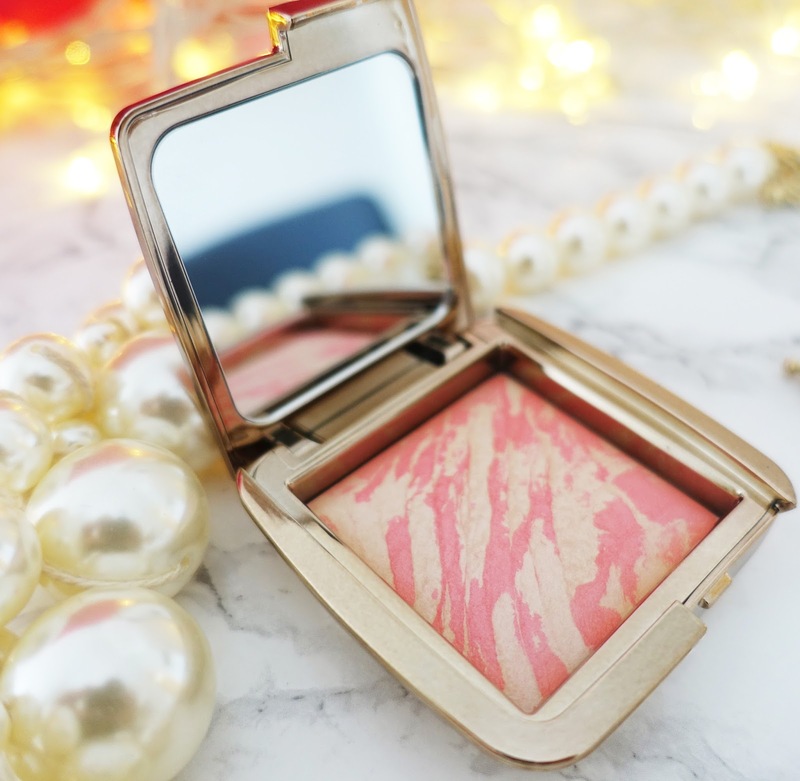 This blusher really does give a lovely ambient lighting effect, thanks to Hourglass's Photoluminescent Technology which adds depth and dimension. The hand-made powders are formulated using an advanced miscelare technique—which means “to mix” in Italian—creating the perfect balance of pigment and powder, and no two look alike. I used to wear only cream blusher, which is normally more flattering to older complexions. But this powder is so fine it doesn't look heavy or "Aunt Sally" like, as so many powder blushers do. - Diffused Heat: a vibrant poppy blush combined with Diffused Light for a subtle halo effect. - Dim Infusion: a subdued coral blush fused with Dim Light to add warmth. - Ethereal Glow: a cool pink blush fused with Ethereal Light for a moonlit luminosity. - Luminous Flush: a champagne rose blush fused with Luminous Light to evoke a candlelit glimmer. - Mood Exposure: a soft plum blush fused with Mood Light to brighten the complexion. - Radiant Magenta: a golden fuchsia blush combined with Radiant Light for a summer glow. Hourglass also has a range of Ambient Lighting powders. I also bought Hourglass's Mechanical Gel Eyeliner, and I'll be reviewing that shortly. Sharing this post with Weekend Blog Hop at Claire Justine, and Saturday Share at Not Dressed as Lamb. Don't miss a post - follow my blog on Bloglovin or Feedspot, and receive a weekly email on my updates. You'll love "handbag of the day" on the Is This Mutton? Facebook page. And check out the Is This Mutton? Pinterest boards, including boards on other bloggers in fab outfits, plus jewellery, hairstyles and fashion picks. This looks beautiful, you can see the quality of it from here. Sounds great, I must look out for some to try :) Thanks for sharing at the weekend blog hop. Well worth the price! Enjoy what's left of the weekend. This one's great, not sparkly.